The church fellowship I grew up in held a ‘Harvest Meeting’ every summer. At 2 in the afternoon on a sweltering hot July day, in a non-air-conditioned old white church by the side of the road. I don’t miss melting in the heat, but the praise given to our Creator for the bounty He bestowed was a wonderful thing to grow up around. And I think about those meetings, the songs of harvest, the praise to the Father, every summers end as the fields begin to ripen and turn golden brown. I don’t have a garden full of vegetables, I don’t can and freeze and preserve like my Mother and Grandmother did. My kids have never shelled peas, snapped beans, or fought with the thick shells of lima beans as I did as a youngster. If we lived in the country it would be a different tale to tell, but we live in town so we are a soft, spoiled bunch of city folk! I do put up corn most years. 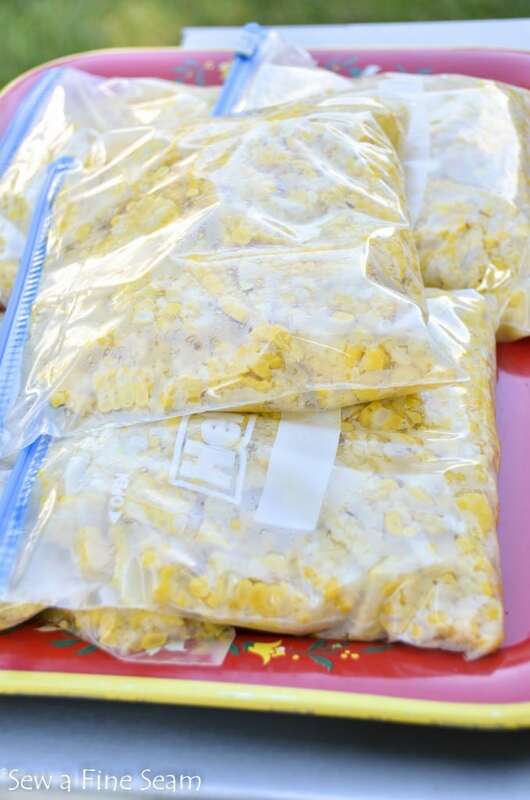 Frozen corn from the grocery just does not compare to cooking, cutting, and freezing your own. 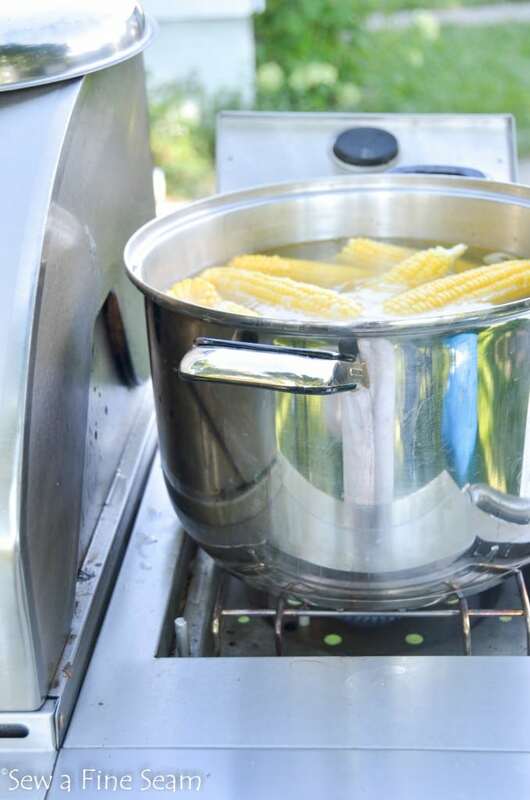 Canned green beans are fine, baby limas are liveable, peas are good, but corn just isn’t. In our opinion anyway. The last couple times I did corn I cut it of the ears without cooking it first and froze it that way. I liked it and Travis liked it but the girls – that was a different story. Sigh. I have such picky eaters. They will eat corn when they have it at Grandma’s but not when I fix it. So this year I went back to cooking it first. This year we kept all the mess outside. Even the cooking. 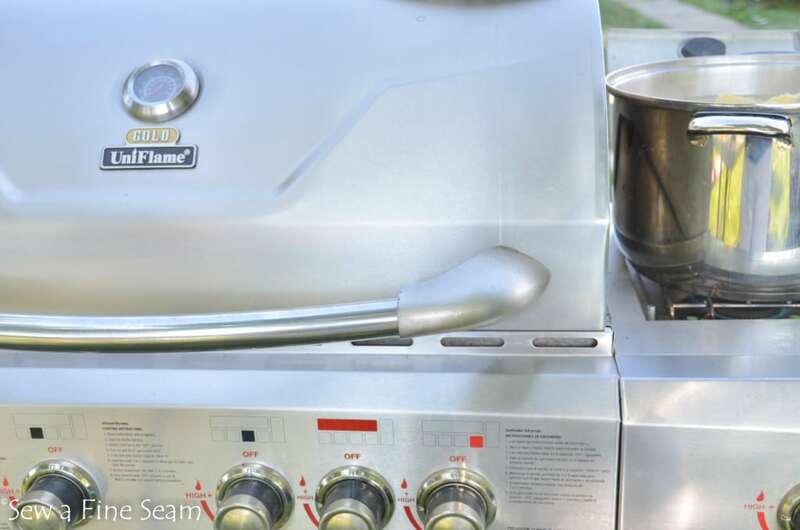 Travis fired up the side burner on his gas grill and we did it all there. The burner wasn’t quite big enough for the job but we made it work. 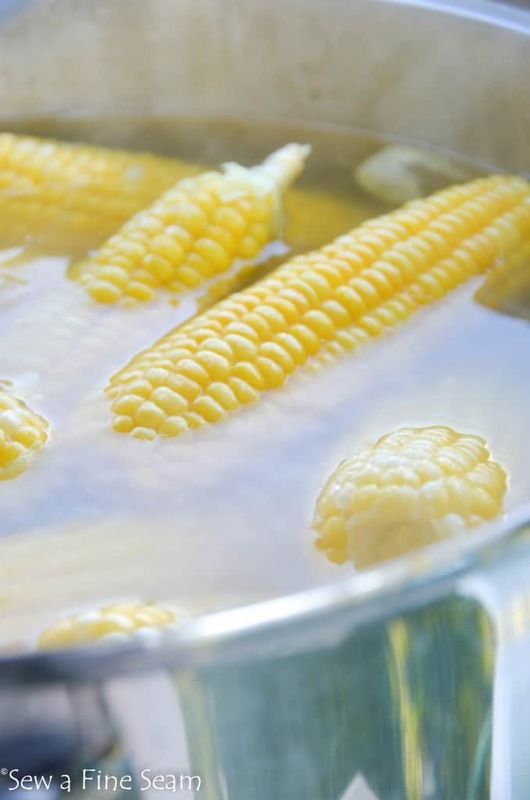 Once the water boiled the first time I put the corn in and let it cook awhile – it never came back to a full boil but I just left it in the hot water longer than normal and it worked just fine. 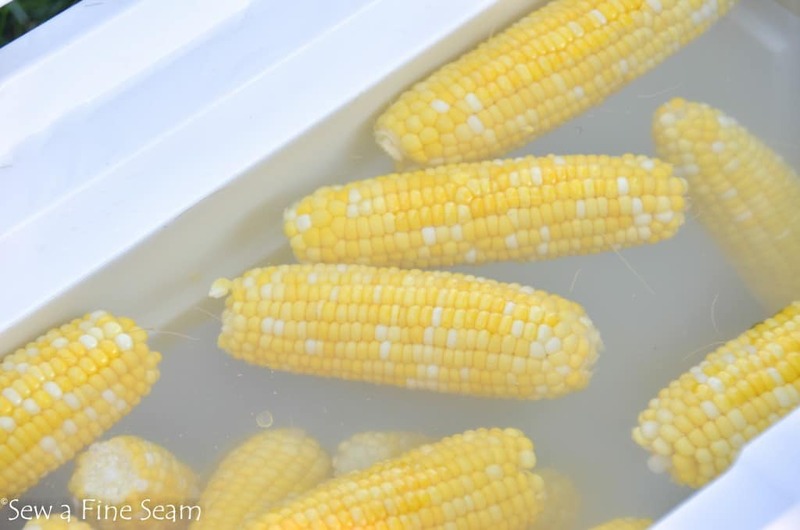 After the corn cooked I put it in a cooler of cold water. I filled the cooler with the hose and changed the water every couple batches of corn. 41 quarts of corn we bagged that Saturday! So nice to have in the freezer for wintertime! Once again, we praise God for harvest abundance put up for days ahead. We trust Him with our future and we look to Him for our daily bread. Loved reading your walk down memory lane ….with thanksgiving to The Lord…things have become so easy in the life we now live…an old saying comes to mind….”we are like hogs eating acorns, we don’t even look up to see where they came from”. Being raised in the country , I know about harvest time and all the hard work it took to have, only with help from The Lord, where all blessings come…. You are very young but thankful you had the privilege of growing up in the country to have learned such a priceless lesson….to help you through this life…. That’s a good idea! Wonder if there is a farmer around here that would like to have mine?! 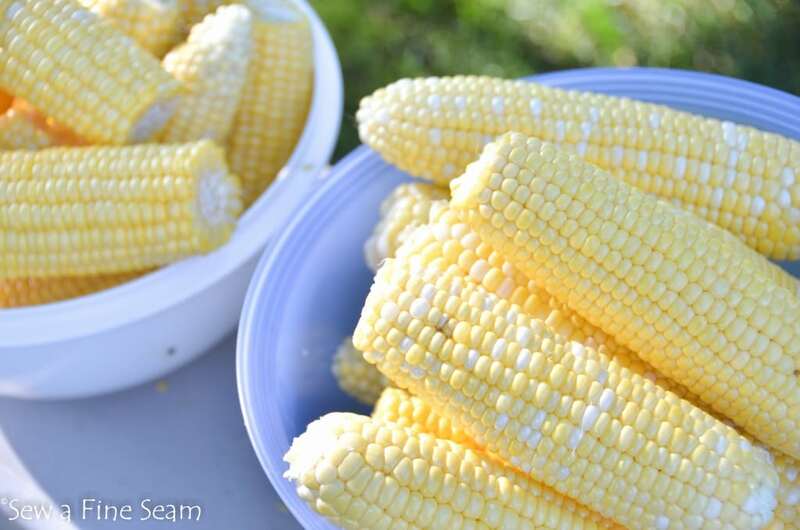 I love fresh corn also. Every year I try to freeze some for my hubby and myself. 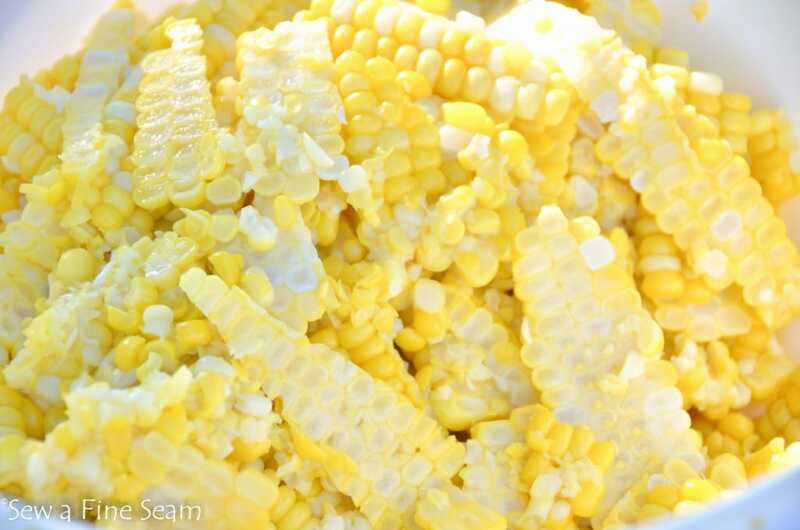 I always cut the corn off the cob and then scrape the cob to get as much of the juice as possible. When cooked it makes the corn thick and creamy. Do you do that also or is it just me! 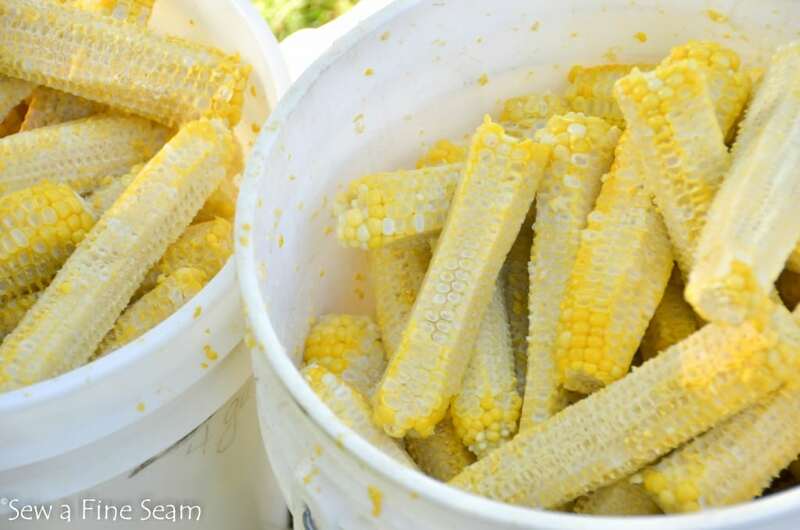 My hubby always liked the cobs scraped so I do that too! Putting up corn can seem like kind of a job, but it is so nice to have it! I’m very thankful for it. Your pictures make it look inviting! 🙂 That’s pretty great to cook it outside!! I’m so glad to have it done. 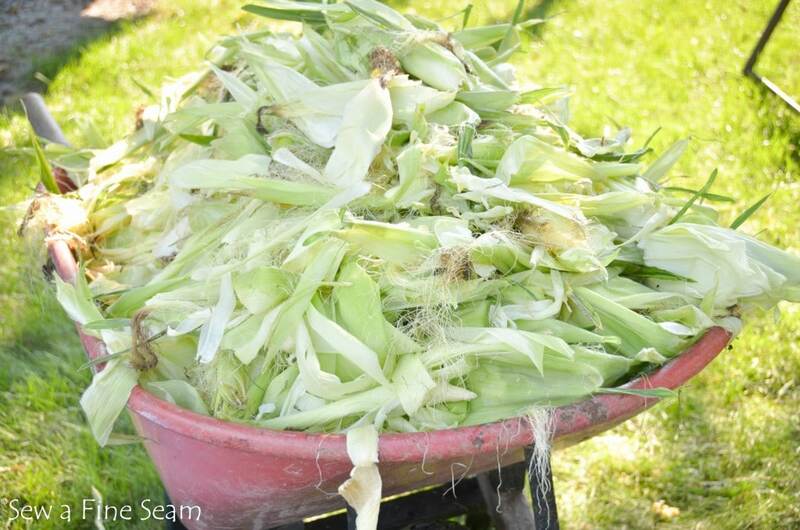 Doing it outside helps SO much – the clean up was always the worst and there was always corn in my kitchen for weeks it seemed!